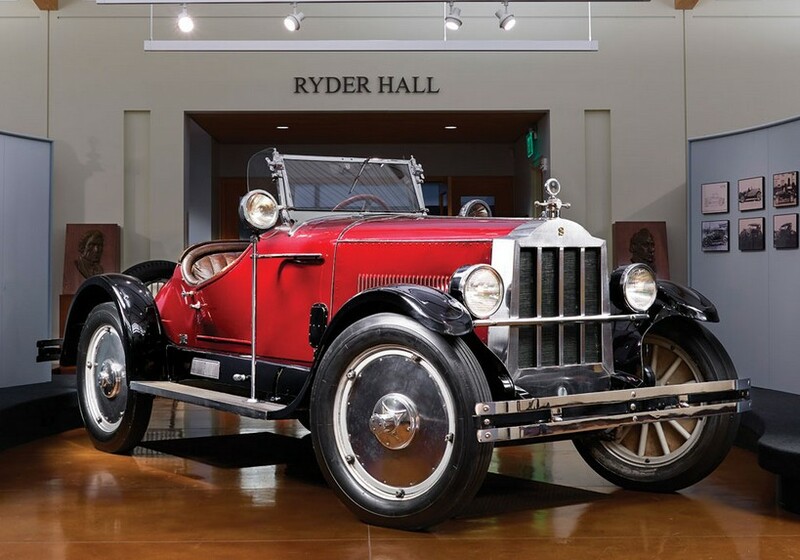 The 1924 Oldsmobile line consisted of a single model offered in a range of factory body styles and apparently coachbuilt ones as well. The engine is a 2.8-liter straight-six making 42 horsepower. The story here is this awesome bod. The aluminium radiator looks like it was milled out of a solid block of metal. The solid metal wheels are amazing. The car only has a single door – on the passenger side of the car. It is full of special one-off features with an unusual body style from a smaller coachbuilder. It is thought that less than 10 Schutte-bodied cars exist and we’ve now featured two of them. Check out more on RM’s site. This entry was posted in Uncategorized by classiccarweekly. Bookmark the permalink.